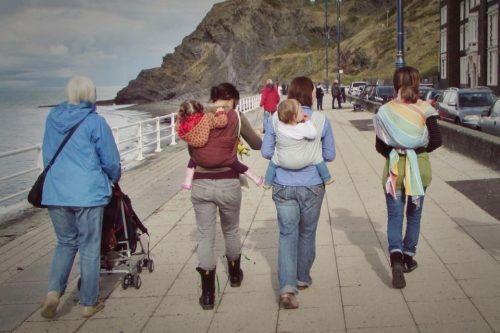 We celebrate International Babywearing week in October each year with a pram friendly walk along the promenade in Aberyswtyth, as seen in the photos. Sling social get togethers are held around mid Wales. 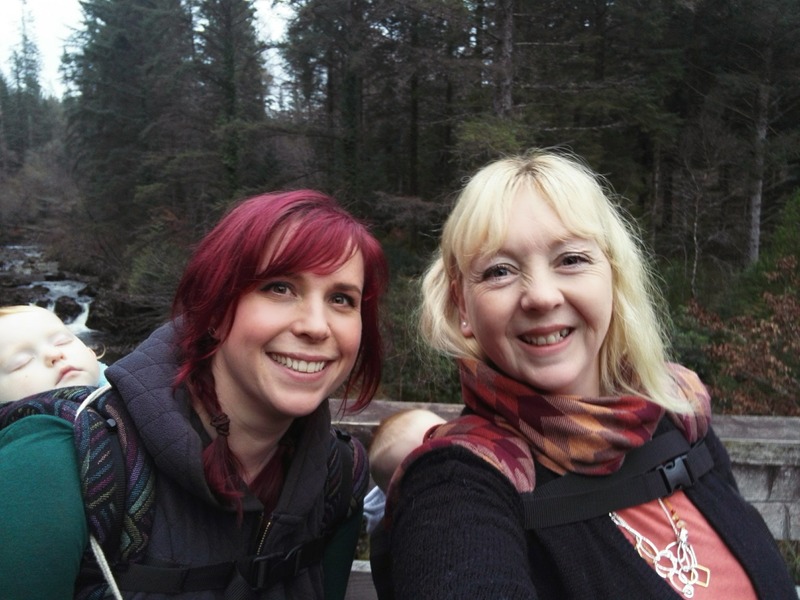 We recently held a walk in Coed y Brenin surrounded by beautiful autumnal colours and a light shower of rain. 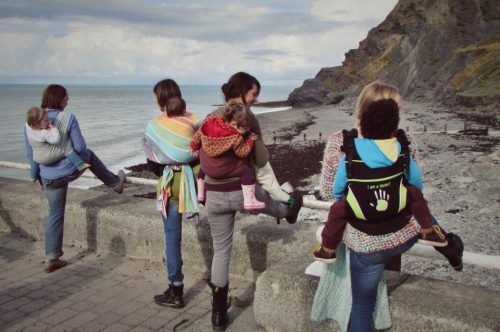 Along with Heart to Heart and Cariad Babywearing other mid Wales sling social events have included celebrating International Babywearing Week in October as well as a buggy walk in Barmouth. Yes, you did read that right! 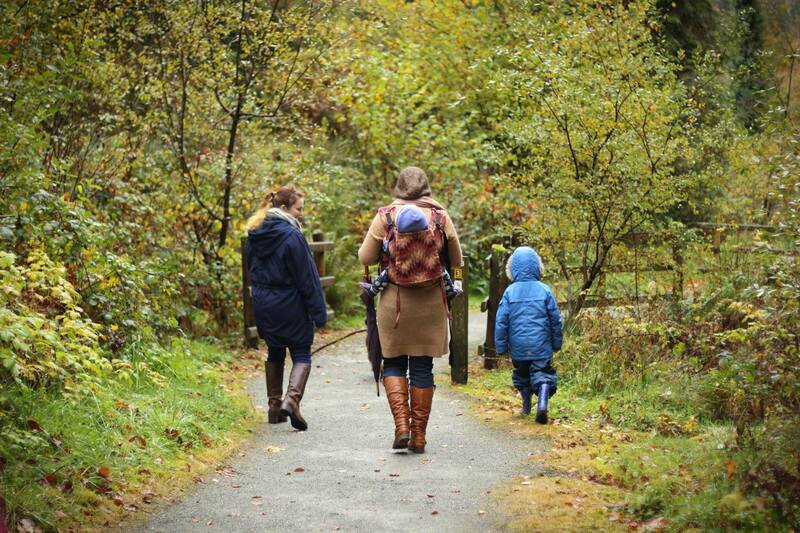 We try and keep our walks buggy friendly too. 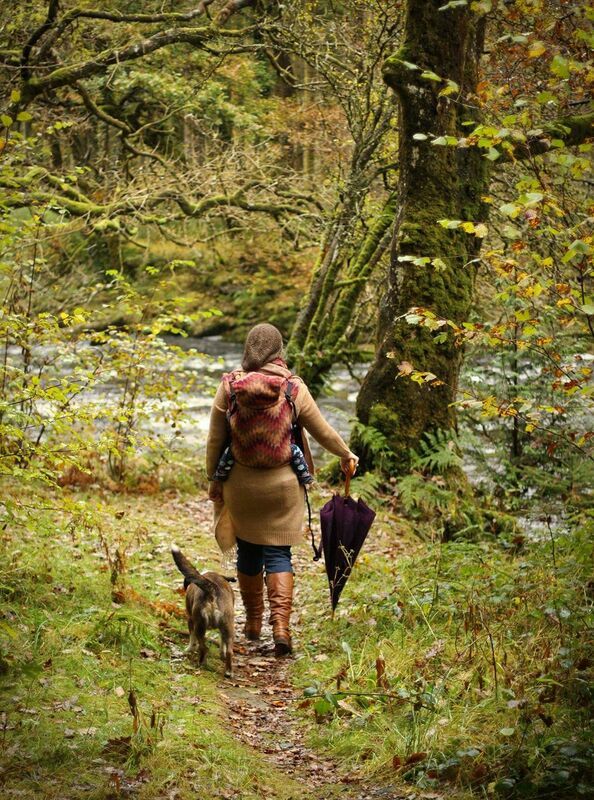 Everyone is welcome and carriers can usually be borrowed for the walk for a nominal fitting fee. If you’d like to suggest a social event let us know on the Facebook Page.